Free UNC MBA Essay Samples | Aringo consultants are the top in the world! My job in companies such as ____ and _____ provided me an opportunity to work closely with cross-functional teams located in countries such as US, Argentina, UK, Israel, and Germany. In ____, I worked on a product integration project that required full interdisciplinary participation. During my first release, I observed that each team was working in silos and as a result there were gaps and conflicts at the time of product integration. To address these issues, I instituted a combined team SCRUM once a week so that we could identify and address any gaps at an early stage. Communicating regularly with other teams significantly improved quality of the products and allowed people outside of their immediate specialization gain trust and form personal bonds. I look forward to sharing these experiences when I take leadership roles in the UNC International Business Association Club and create a mutual learning environment for both domestic and international students. I am passionate about contributing to the development of others. I still remember the inner satisfaction I felt when I helped a colleague who was going through the Performance Improvement Plan (PIP) to save her job. Rather than giving up on her, I decided to explore the possible root causes of her poor performance. From spending time outside of the work environment, I learned that she was finding it difficult to adjust to the work culture. I began to invite her to lunch meetings with peers and encouraged her to speak up about her initiatives. After a few weeks of mentorship, I saw her confidence and work improve. In the next quarter, she even received recognition for outstanding performance. From this experience, I learned the importance of being sensitive to everyone’s individual situations and tailoring my mentorship style to bring out the best in every team member. I intend to carry on this spirit of mentorship by actively participating in the UNC’s Community Service Committee with a focus on youth counselling. Even though education is a fundamental right of every Indian citizen, it is still a distant dream for many India’s children. India’s share in the global illiteracy rate is 37% (287 million or 26% of India’s population). Lack of quality education is the biggest hindrance in India’s development as it leads to other problems such as poverty and unemployment. I am passionate about providing education to those who are less fortunate, much like community members from my childhood upbringing, to help them fulfill their dreams and overcome poverty. Long-term, I plan to start my own venture that will have a significant impact on the education landscape of India through digitization. Affordable education will provide our next generation with knowledge and skills to fight social disparity and enable India to progress as a nation. My immediate post-MBA goal is to join a leading technology company as a product manager focused on smart education and eLearning. This experience will provide me with an opportunity to learn the intricacies of the industry while integrating my enthusiasm for serving others. I joined SafeNet as an intern and was one of the first members of the team. This gave me a rare opportunity to work closely with the Product Owner and get hands-on experience of each stage of the product lifecycle. My experience of working collaboratively with teams located in different geographical locations and time zones will come in handy while working as a product manager. Regularly talking to customers helped me better understand their needs and look at the product from their perspective as well, traits essential to be a successful entrepreneur. By starting my own venture focused on digital learning, I aspire to employ my passion for technology and provide quality education to everyone. My career so far with companies such as Intel and Qualcomm has given me good exposure to the engineering side of a product. But to run my own organization, I need to acquire a broader skillset to incorporate the finest management practices. This is the ideal time for me to enroll in a top MBA program such as Kennan-Flagler so that I can build critical business skills and develop strategic thinking. UNC’s unique STAR Global program will allow me to apply what I learn in classroom in a true international business environment, similar to what I will get while working as a product manager. Networking is one of the crucial skills required to be a PM and career treks events of Business Technology Club will give me ample opportunities to do so. The Entrepreneurship Concentration will help me groom me as a leader and develop the mindset of a CEO, thereby facilitating my transition from an engineer to an entrepreneur. In case my short-term goal does not materialize, I would consider a role in business operations so that I can understand various business models and strategies behind them. This will also give me an opportunity to work with cross-functional teams. To keep myself apprised of the latest developments in the eLearning industry, I will attend seminars and conferences and network with the industry leaders. UNC MBA Essay Example #3---Question: Please describe your short and long-term goals post-MBA. Explain how your professional experience has shaped these goals, why this career option appeals to you, and how you arrived at the decision that now is the time and the MBA is the appropriate degree. Additionally, please briefly address a backup plan should your short-term goal not come to fruition for any reason. I have always believed that a true leader is the one who does not only spread the passion for work and inspire others but changes the ways of how other people live and think. Billions of people have heard about Amazon, Facebook, or Tesla, and it took enormous effort and talent to establish these corporations and make them prosper. Everything rises on effective leadership, and, therefore, my long-term post-MBA goal is to become a visionary and make my own contribution to the global society. My life goal is to become a Senior Manager of a large multinational corporation that manufactures goods, and I dream of becoming a CEO who drives organizational changes and ensures sustainable growth of the company. I truly believe that becoming a leader of a large corporation that operates in the education sector, transportation or manufacturing industries will let me discover all talents, realize my full potential, and contribute to the growth and prosperity of the society. However, I have a clear understanding that a long journey begins with a single step, and right after getting an MBA, I plan to start working as an associate consultant in one of global management consultancies like McKenzie or Delloitte, which would let me improve my problem-solving and business management skills. At the same time, my plan B is to get a position at the company that offers business advisory services so that I can gain more experience and an extensive background in the field to reapply for the position in a global consulting firm. The main reason I strive to get an MBA is that it is the next step for me to take to reach my long-term goals; I have already developed certain skills and gained a deep knowledge of various business processes in real estate and construction sectors, and it is high time to take the step out of my comfort zone and find new challenges to overcome. Becoming a member of the MBA program will definitely become a great challenge, by overcoming which I will become a better person and a greater professional. I am currently looking for a career move so that I can expand my horizons and gain a broader perspective to effectively run a large company in future. I have been working as a Project manager and a business development analyst, and this professional experience helped me gain a clear understanding that initiative and self-direction of a leader are the crucial factors, which have a direct impact on the overall performance of the company. I learned how to utilize statistical pricing models and enhance profitability through improving collaboration between different departments, but I lack the business education to form my own vision on how to run companies and gain competitive advantages over rival firms. Moreover, I need to gain a deeper understanding of various business concepts, develop managerial skills, and expand my business network to become an effective leader who is able to drive the company toward success. I am certain that MBA is an appropriate degree that will help me open the doors to new opportunities. At the current stage in my career, I face limits to growth, and to further develop my talents, I need to find new hurdles to overcome. The man who never tries will never win, and I am ready to devote all my time and effort to get an MBA degree that will help me make the next career step and a big move in my life journey. 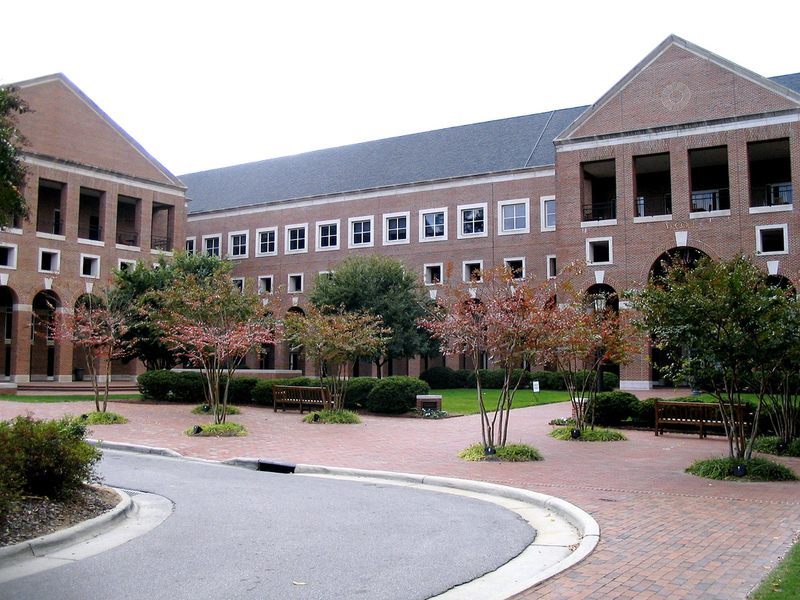 How can you improve your UNC MBA Essays?